What is the real ICD-10 status? Since every practice is different, it stands to reason that every status is different. Or, are we all more or less in the same boat? More than 59 percent of respondents indicated they have not begun testing. Of that 59 percent, more than three-quarters have not completed software upgrades on their networks to support ICD-10. 41 percent said they will incur additional consultant retainer costs because of the delay. 45 percent said they couldn’t even guess how much the delay will end up costing them. 55 percent said the delay won’t allow for IT staff to implement other IT systems for better documentation, coding, etc. Two-thirds indicated the ICD-10 delay will not negatively affect Meaningful Use Stage 2 attestation. However, 31 percent said they will consider skipping a year of Stage 2 incentives to make sure the ICD-10 implementation goes smoothly, because there aren’t enough resources to focus on both. What these stats tell me is that most practices know the potential for disaster and are taking steps to ensure a successful conversion; however what is also tells me is that the cost of this conversion won’t really be appreciated until long into 2016. Of course there is a cost to convert. And that cost can be accounted and followed. But what cannot be calculated is the cost of not doing some things ie. Testing, skipping meaningful use 2, and not performing upgrades to non-primary systems. Plus, no one really knows how payers are going to handle the new codes in terms of payment. What is now a covered dx? What requires pre-authorization? Where’s the documentation from payers about how they will handle codes and denials and payments? Cost, cost and more cost, but what will be the cost of an unsuccessful conversion? Failure to successfully convert from ICD-9 to ICD-10 will result in incalculable cost. Revenue will come to a halt. Need I say more? This is not an effort to scare you……(well, maybe a little)……it’s an effort to implore you to take strategic steps this week to safeguard ICD-10 will be successful at your practice/facility. Testing is a huge part of ensuring that success; it cannot be over-rated. Knowing how or what to test will be critical to the accomplishment of your goals. Testing ALL software, and all the software you interact with routinely is critical. There’s much to be done. 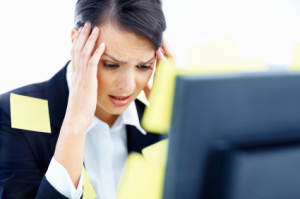 Call us if we can help take the burden of ICD-10 off your shoulders. CLICK BELOW.